To ensure smooth cloud migration, itis important that you do a thorough research n cloud technology as this will help you know the various possibilities that a cloud-based system can provide so that you can leverage cloud per your application’s needs. Almost every company has this belief that knows their data will be automatically protected from breach or theft. 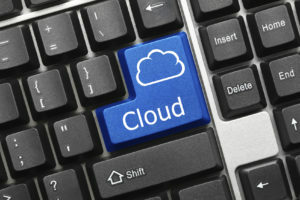 When migrating to the cloud, you are more vulnerable to new and hazardous security issues. Hence businesses should prefer automated cloud migration as it provides updated security for every possible hazard without utilizing any human capital. But even if the cloud migration is automated, it is the responsibility of the organization and the employees to ensure proper encryption of data before moving to the cloud. Owing to its decreased complexity, organizations think that they do not need any help moving to the cloud. With the aim to economize, most companies put their uninformed and technically incapable employees to install the cloud automation. This can lead to massive failure. Hence companies must hire professionals to ensure a smooth migration and reduce the possibility of failure. Despite being cost-effective, some companies to pinch pennies try to make-do by compromising on network connectivity and choosing low storage options without keeping into account the high bandwidth connectivity. If your answer to why migrate to the cloud is “because everyone is doing it,” then we suggest you stick to your existing system. You will have to take into consideration your current IT needs, what are the factors responsible for your underachievement, etc. You will have to establish a purpose which the cloud migration will serve. Almost every business migrating to cloud commits the mistake of migrating all the application to the cloud. Depending upon your industrial sectors you will have to keep specific factors into consideration before deciding which apps are best suited for cloud deployment. Adopting cloud computing needs a thorough process evaluation and objective perception; otherwise, it can become an expensive mistake. Hence make sure you avoid all the mistake mentioned above to get the best out of your software. If you have been looking to migrate to the cloud, we would suggest you utilize cloud automation in migration. Instead of going from store to store, we recommend you purchase automation software online. You can also find Best Windows Automation Software, structured with a customer-driven development approach with an easy to use interface at an affordable price. Tips On How To Have A Flying Offshore Career?